Hello my good friends and health nuts! I am on holiday for my 25th college reunion. I had a wonderful time visiting with some dear friends and stayed with my sister near the countryside. On the way to my nephew’s school today, I was appalled by this stench that filled the car as we were on the road. The smell was from a chicken Confined Animal Feed Operation (CAFO). 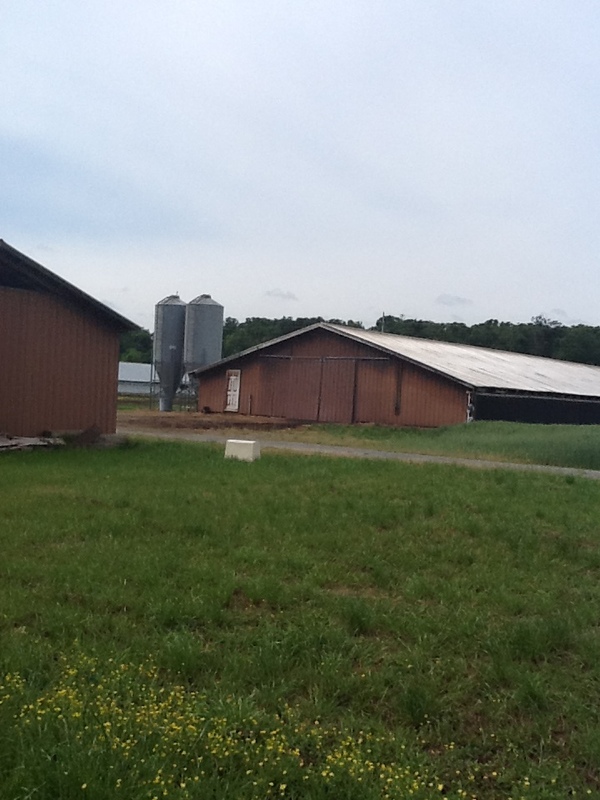 This particular CAFO or feedlot is owned by a major chicken producer in the United States. This is an operation where animals are raised in very close quarters. So close that they are barely able to move! This type of industrial farming is practiced rampantly in our country! Growth hormones and antibiotics are routinely administered to these feedlot animals. The chickens in this type of operation grow with such speed that they are basically ill and unable to walk. These poor animals are confined in these ammonia filled, windowless sheds. Because of the growth hormones that are administered, these chicks grow from chick to chicken at the rate of 6 to 7 weeks, as opposed to 5 months, like free-range antibiotic-free chickens. The waste from this type of animal farming produces excess pollution. There are better ways to grow food and animals. Throughout the United States, there are people and farmers who are recognizing the need to go back to the original way of farming food and animals. They have local farms that sell produce and animals that are humanely raised. Patronize your local farmer’s markets and restaurants that purchase from local producers of food while supporting the local economy. Not only will you be buying the freshest agriculture available to you, but you will also be doing your part in lessening the harmful effects of feedlots to our environment. Buy Local! My sister and her husband will be soon be selling these terrific “buy local” t-shirts, where part of the proceeds from these sales will be donated to efforts that support the growth of the local food movement. Check out the movie, Fresh (instant play on Netflix). I watched it with my family this weekend. This film really brings home the local farmer perspective. Let me know what you think! That’s it for now! Eat Local! Eat Fresh (really)! This entry was posted in Uncategorized and tagged Feedlots CAFO. Bookmark the permalink.